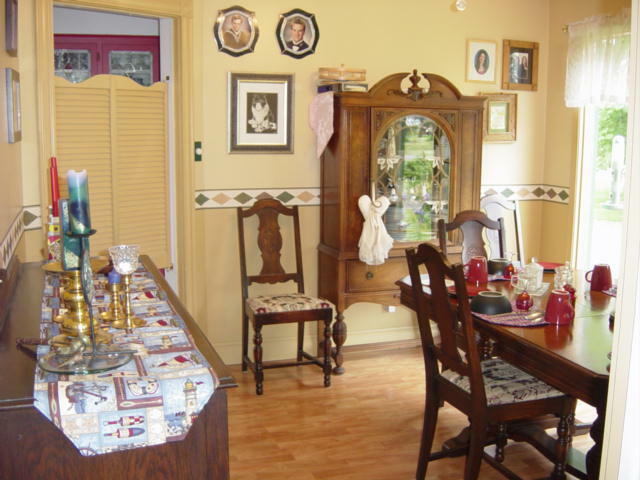 A warm “Welcome” awaits you at the Suncatcher B&B located in North River, a suburban area of Truro, Nova Scotia but only a five minute drive from the downtown core. Suncatcher B&B is a four-level split house built in the 1970s. The B&B rooms are the entire upper level which allows for two large airy rooms each with a spacious four-piece ensuite. For guests who have difficulties with long flights of stairs, there are only seven steps up from the main level which consists of the dining room, living room, and kitchen. 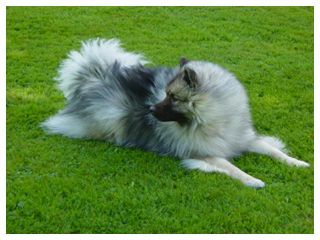 Keltie the Keeshond is a very pleasant and friendly dog but he is never allowed to go upstairs where the B&B rooms are located. 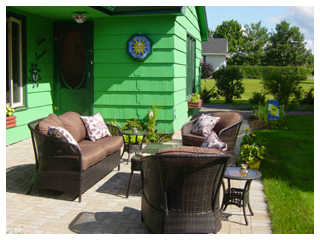 There are patios in both the front and back yards which allow for relaxing in either sun or shade depending on the time of day. A collection of birdhouses is inhabited by different Nova Scotia songbirds which return each Spring. The flower gardens are an on-going project and the latest is the addition of a rock garden in the back yard. 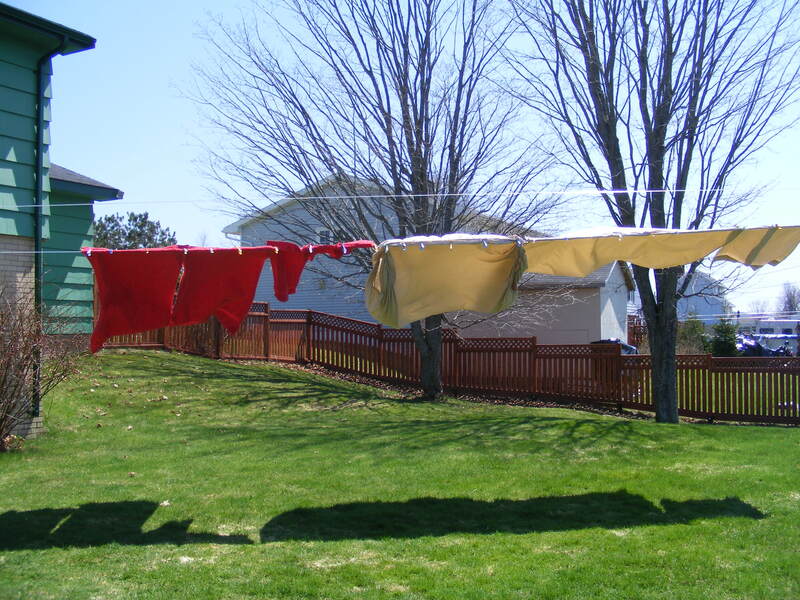 It is a goal to be as “green” as possible by re-using, re-cycling, composting, and taking advantage of pleasant days by using a clothesline for sun-dried laundry. After a day of traveling and sight-seeing, B&B guests can gather in the living room for tea/coffee and a home-made dessert. 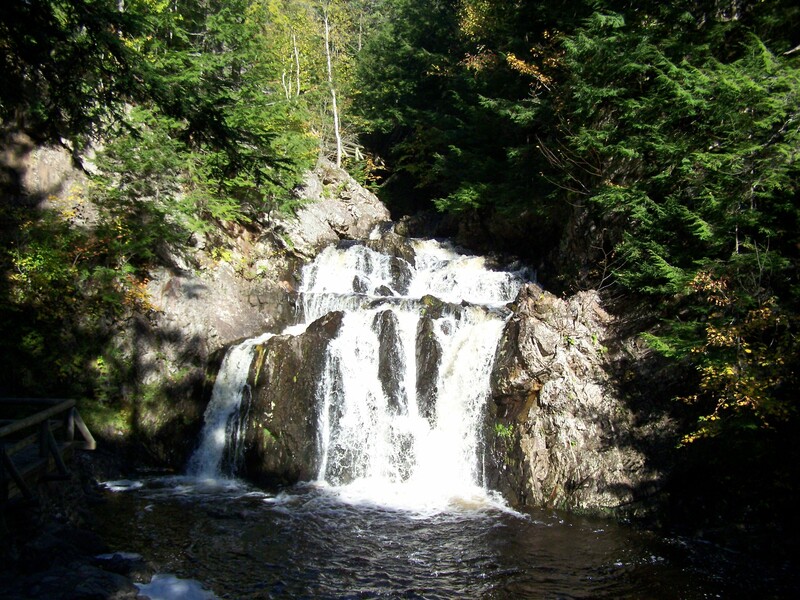 This is an enjoyable part of the B&B experience which provides a social and learning time for help with travel plans and recommendations for places to see/stay as you travel around beautiful Nova Scotia. 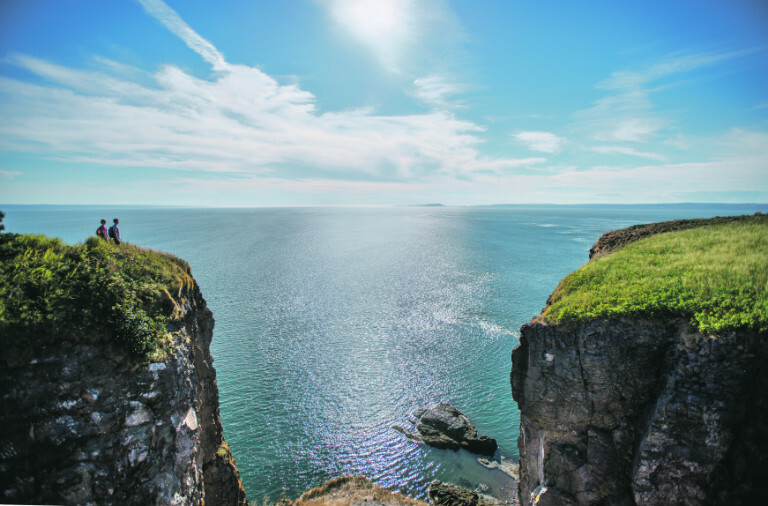 Cobequid… a term describing the sea penetrating the land. 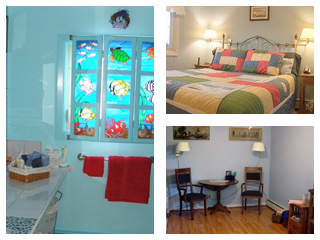 The Cobequid Room is a soothing shade of blue & has a Marine theme reflected in the artwork displayed on the walls. The ensuite features a stained-glass window covering incorporating real seashells. 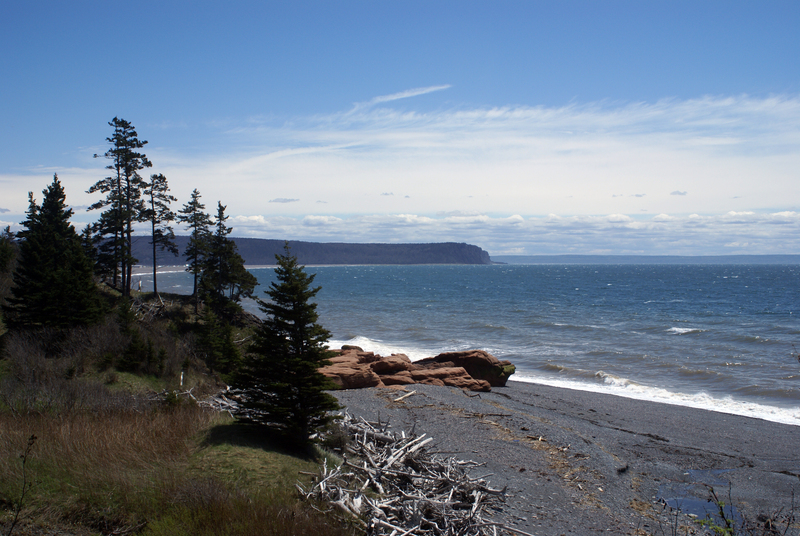 Chignecto… a term describing low lands and marshes. 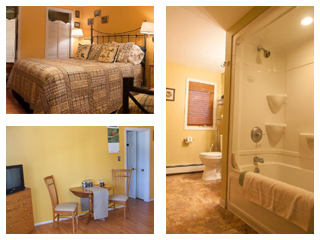 The Chignecto Room is a golden shade guaranteed to brighten your day. West Coast Haida and well-known Nova Scotian photographic artwork decorate the walls.